This isn't good...it's excellent! I love the fact that I can have any of your lapel pins mounted at not extra charge. I ordered the Iraq and Purple Heart ones. 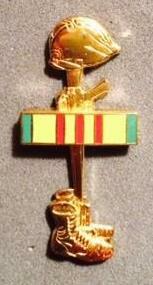 I am going to order the Vietnam Service Ribbon lapel one for my dad. Thank you so much for creating this. I've never seen anything like it. Great job guys!